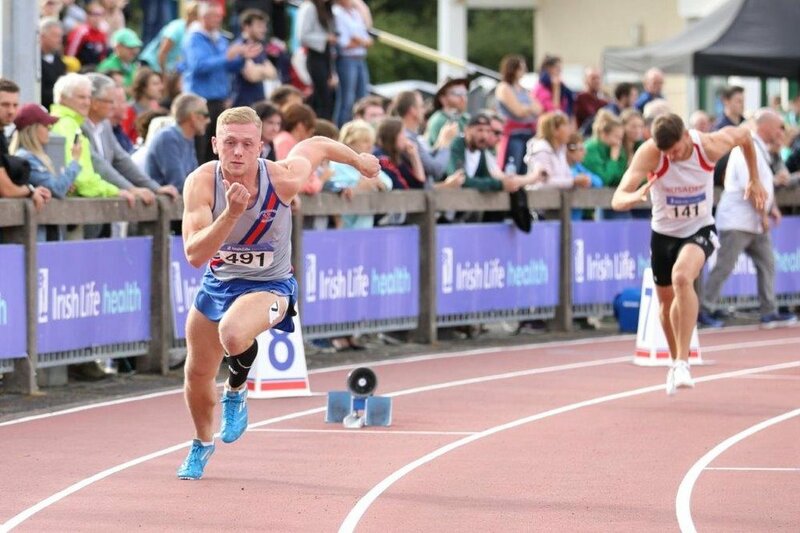 The silver lining stretched way into the distance for D.S.D., at the National Senior Track & Field Championships in Santry at the weekend, as we came away with three silver medals from Jerome Caprice 10,000m walk; Kate Doherty 100m hurdles and Hiko Tonosa 5,000m. 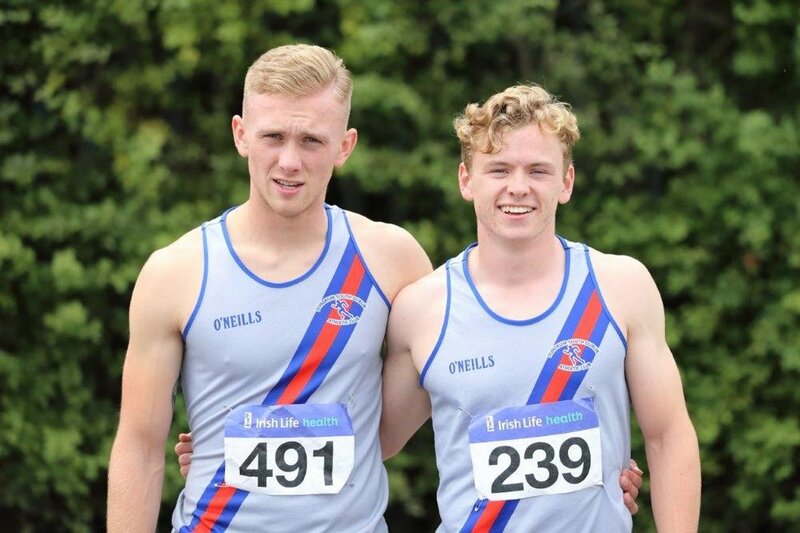 D.S.D., vests were prominent in many other finals, having survived tough heats, on a glorious weekend for Irish athletics. It was particularly noticeable in the 5,000m when three other D.S.D. athletes joined Hiko in the final; Paul O’Donnell; Jack MacGabhann and John Eves. Sinead Denny chased the leader in the 400m final and was rewarded with a bronze medal, having won her heat on Saturday. In a day with many close finishes, Hiko was beaten on the line by 1/100th of a second by Ryqn Forsyth in a stirring duel over the last two laps, with debate, until the official photo was produced, as to who had prevailed. The verdict went to Ryan, who has just secured his Irish Passport from an American base and will be a welcome addition to the strength of the Irish team. Hiko can go away satisfied that he gave everything in his first championship race for D.S.D. Probably the performance of the day by a D.S.D. 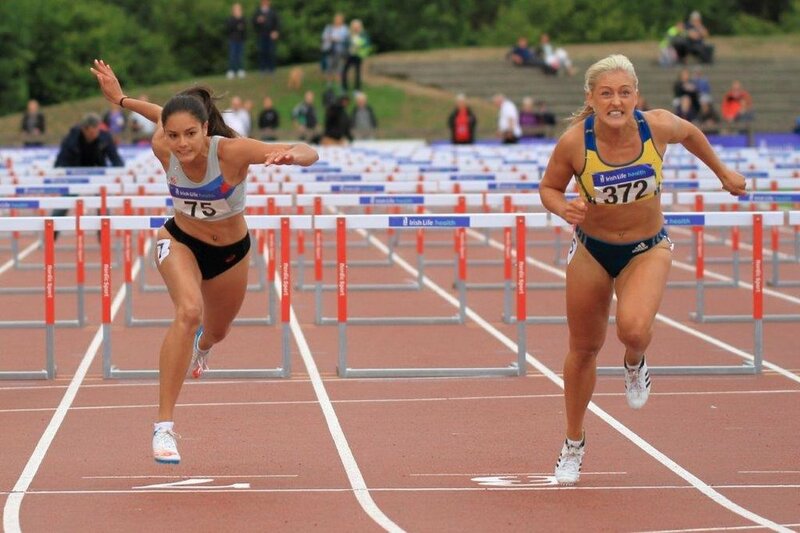 athlete was that of Kate Doherty, who finished 2nd in the 100m hurdles. Kate has made stunning progress this year, with another PB. (13.72), following her previous best time set when finishing 2nd (13.78) in the U.23 Nationals, achieving a European u.23 qualifying time. She also ran a heat of 100m, before her hurdles final yesterday and qualified for the final, and a big effort here ended off a great day for her. Jerome Caprice, who will represent Mauritius in the African Championships next week, was very happy to pick up 2nd place, in a torrid battle in a gruelling event, which will give him a positive mental frame of mind for his first global competition. Meghan Ryan was also in sparkling form in the 5,000m as she battled to a 4th place finish, knocking 4 seconds off her P.B., and will finish her season in the League Final on the 19th August, when D.S.D., will have a formidable squad in action. Siofra Cleirigh Buttner decided to forego her main event (800m) to have a crack at the 1500m. 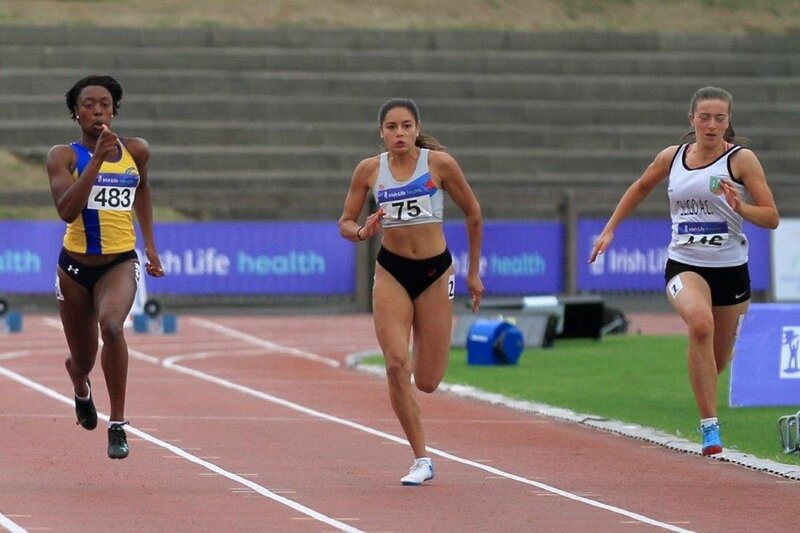 This looked to have paid dividends as she took the lead coming into the straight, only to run out of legs in the last 50m, and had to be content with 4th place behind athlete of the meeting, Ciara Mageean, who secured a 2nd gold after her victory in the 800m. 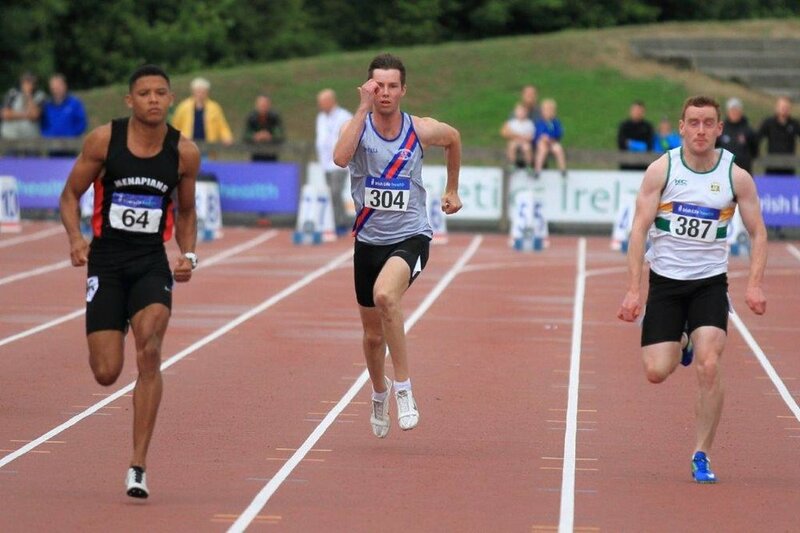 Other notable performances came from 400m hurdles finalists Joe Halwax and David Dagg, who came up against the formidable Thomas Barr, one of the favourites for the upcoming European Championships in Berlin. 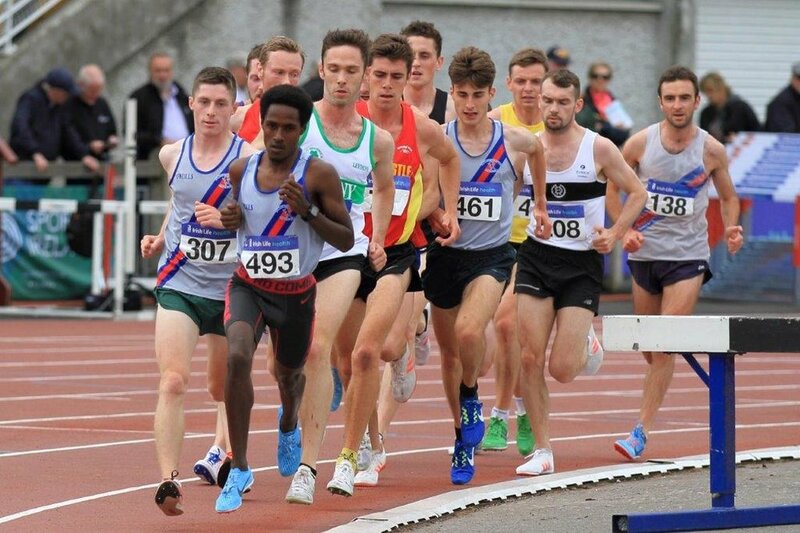 Well done also to Patrick MacGabhann 7th in the 1500m final, Fiona Clinton who ran her usual gallant race in the 5,000m, returning from injury; James Holden 100/200m; Hugh Gowing; David Connolly; Emmet Jennings and Michael McCarthy. One of the features for D.S.D., was the youth factor, with average age being around 22.